You’ve just finished soaking dishes or taking a bath and notice the water isn’t draining like it should be — ugh! Little is more frustrating than dealing with an unexpectedly clogged drain. Who knows why it’s not draining, anyway? Could it be food, soap scum, hair, a solid object? Don’t play the guessing game; trust Flinn’s Rooter Service to get your drain working again quickly. Learn why you should leave the issue of blocked drains to a professional. Why Hire a Professional for Clogged Drains? Identification of the blockage. Sometimes it’s hard to tell what exactly is causing clogged drains, but a professional rooter service can pinpoint the problem using specialized equipment and imaging of the pipe interior. Complete removal. Because a professional is able to locate the root cause of the blockage, you can ensure it is completely removed before the job is finished. Safe for pipes. Attempting to unclog a drain yourself can lead to further pipe damage and possibly pipe replacement. Save time and money by hiring a professional to complete the job safely. Guaranteed work. Relying on yourself to unclog a drain may seem like a cost effective option in the short term, but in the long run you may pay more than you’d like. The risk of damaging your plumbing system increases if you’re performing the job yourself and you have no recourse if additional damage is done. Work with an insured, experienced rooter service to enjoy peace of mind. Additionally, there may be an underlying issue contributing to clogged drains. A professional can spot a concern that you never knew existed. For example, while unclogging a drain there may be a leak or erosion that you didn’t know was there. An experienced rooter specialist can alert you to any causes for concern so you can take the appropriate steps to have them addressed. Flinn’s offers same day emergency drain unclogging service! Find us on your mobile phone. When drains get clogged, it’s an unexpected expense. At Flinn’s Rooter Service, we understand your dilemma and have pricing that is well below our competitors. Regular maintenance on your sewer lines and drainage lines will save you money today and in the future. Ask about our routine rooter service discounts. If you’re struggling with clogged drains, don’t wait any longer to get help. 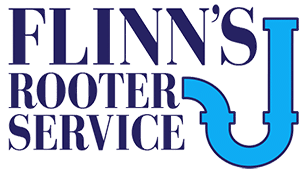 Reach out to Flinn’s Rooter Service today to get your drains in working order. Our polite, professional team is available in your area now.